Established in 1983, Books Unlimited is located in Historic Downtown Franklin, North Carolina. We feature thousands of book titles from Best Sellers to Regional Authors. In addition, Books Unlimited has a great selection of Children's Books & Used Books. We also carry many great gift ideas including 2016 Calendars, Games, Music, Journals and so much more. Be sure to check out our Monthly Specials on books, music, games, journals and more. Books Unlimited is located at 60 E. Main Street in Franklin, North Carolina. Call us at (828) 369-7942 or email our staff at suzanne@booksunlimitednc.com. 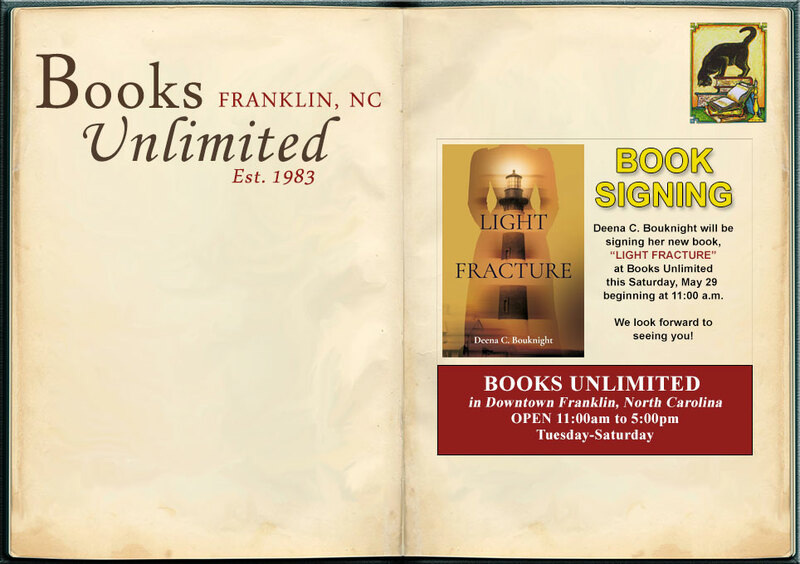 We look forward to seeing you soon at Books Unlimited in Downtown Franklin, North Carolina.